Hello again all! Day 3 for the hat drive! Did you set a goal? Mine is 50! 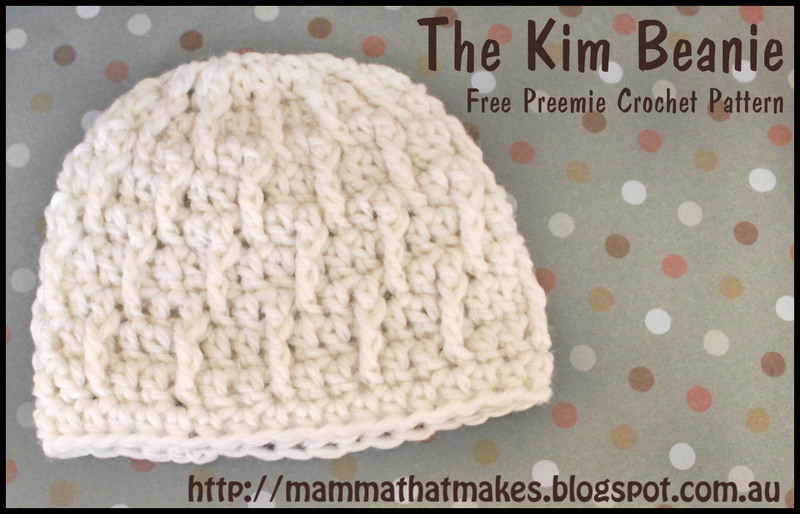 Today's beanie is a lovely textured beanie that features a front post triple crochet! Don't worry, there is a link below to show you just how to do it. I love that this beanie has plenty of umph on the outside, while remaining smooth on the inside. This beanie also has a pretty good amount of stretch too it. Happy Crocheting! I used SupaAcrylic in Off White. Join to the top of the starting chains. Chains count as stitches. 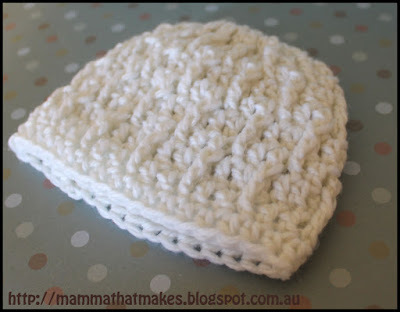 Unless instructed, do not crochet into the same stitch as your chain. These are made in the next dc 2 rows below your current stitch. 4. ch2, dc in the next stitch, FPTC around the next dc from 2 rows below (will be from round 2), *dc in the next 2 stitches, FPTC around the next dc from 2 rows below*, repeat around, join. 5. ch2, dc in each stitch around, join. 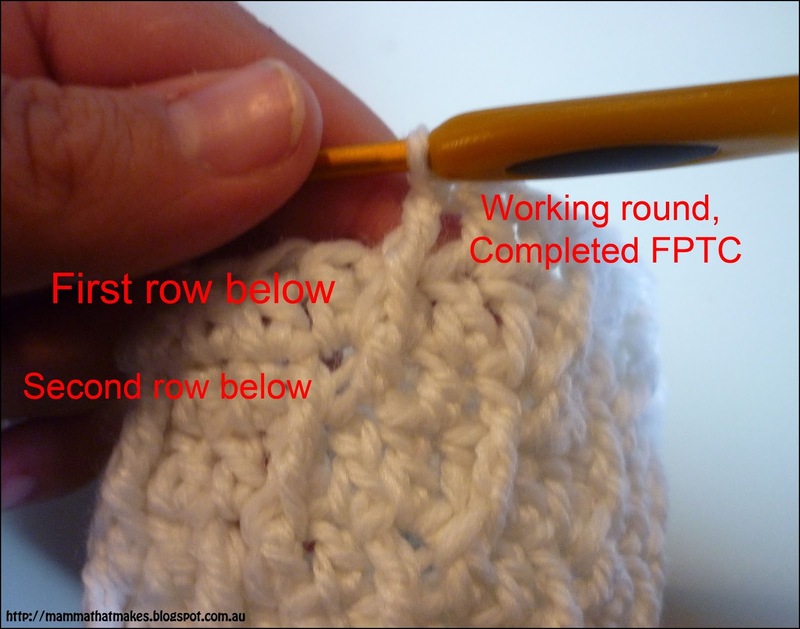 6. ch2, FPTC around the next dc from 2 rows below, dc in the next 2 stitches, *FPTC around the next dc, 2 rows below, dc in the next 2 stitches*, repeat around, join. 7. ch2, dc in each stitch around, join. 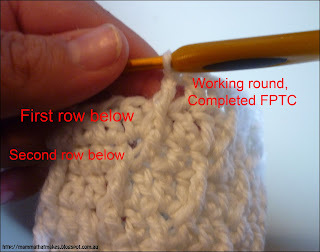 8. ch2, FPTC around the next stitch 2 rows below (this will actually be the ch2 from 2 rows below), dc in the next 2 stitches, *FPTC around the next dc from 2 rows below, dc in the next 2 stitches*, repeat around, join to the first FPTC, not the chain. We will be ignoring the chain from this round. 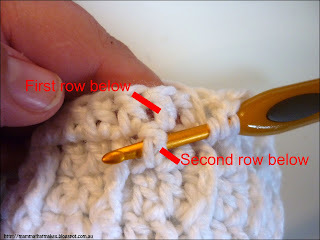 11. ch2, hdc in each stitch around, join.